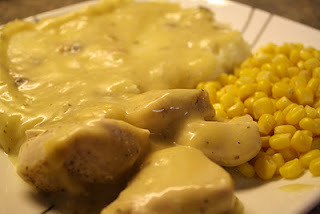 Easy Chicken, Mashed Potatoes and Gravy! Fall has hit, the leaves are turning colors, and the temperature has dropped. It's my favorite time of year! Growing up my ultime favorite meal was chicken, mashed potatoes, and gravy. My mom had a quick and easy recipe that is very Minnesota. On those cold days when you want a home-cooked meal, but you don't want to put forth too much effort, here's a simple way to make a delicious meal. Wash and trim the chicken. Then cut each breast into about thirds. 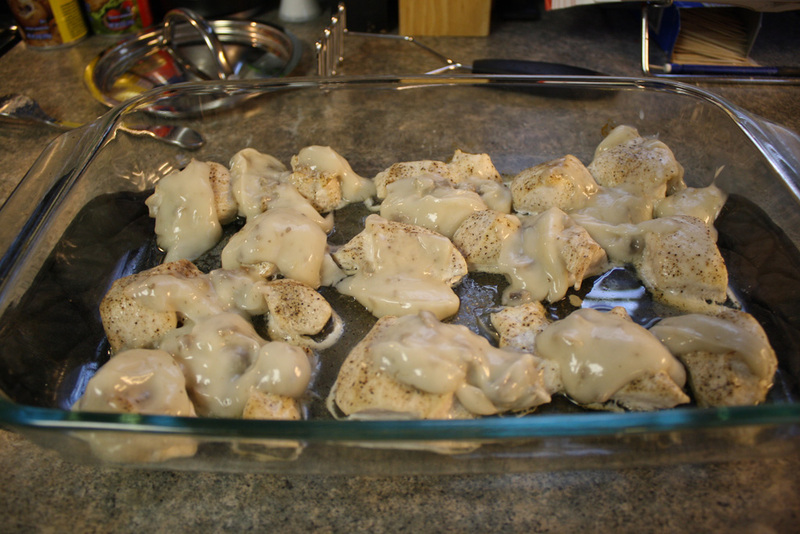 Place in a 9" x 13" baking pan, salt and pepper to taste, and bake in the oven at 350 degrees F for 30 minutes. While the chicken is cooking, peel and cut the potatoes. Cover with water and boil until potatoes are tender (about 15-20 minutes). 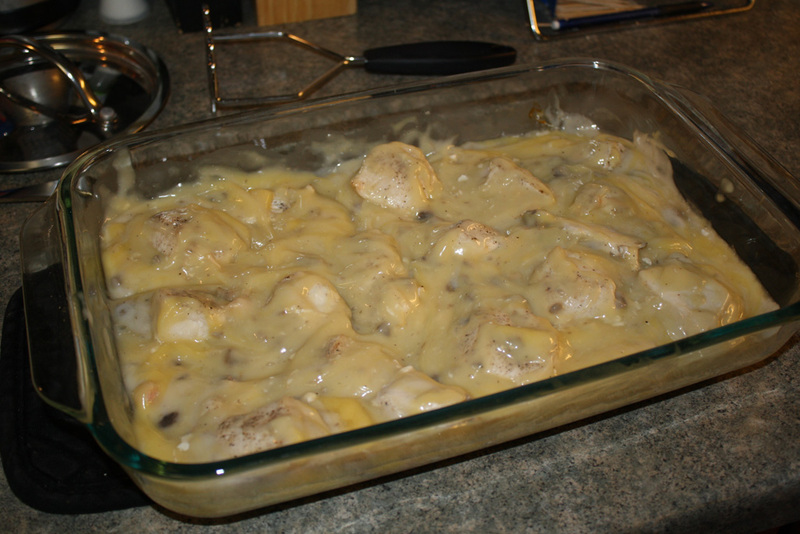 After 30 minutes, pour the cream of mushroom & cream of chicken soups over the chicken. Mix with a spoon. Then place in the oven for another 10 minutes, or until chicken has reached an internal temperature of 165 degrees F.
When the potatoes are done, drain the water. Then add the milk and butter. 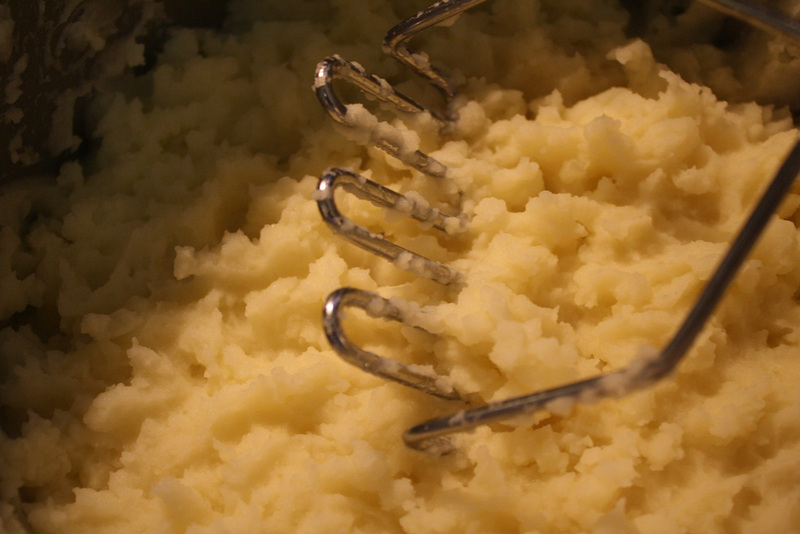 Next, mash the potatoes with a standard potato masher until free of lumps. Finally, dish up the mashed potatoes, chicken and gravy on a plate. Goes great with a side of corn, bread, and/or salad! Enjoy your easy yet tasty meal!